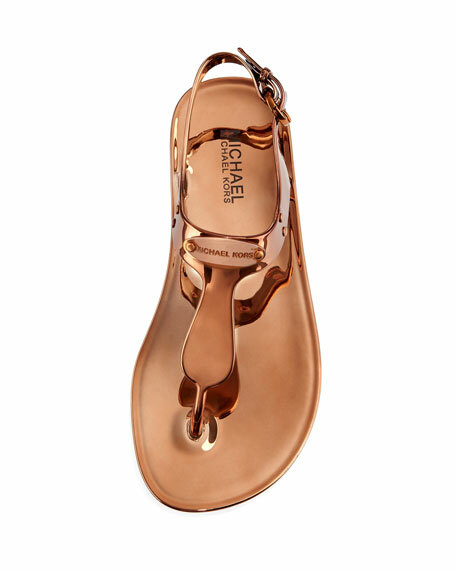 MICHAEL Michael Kors metallic jelly sandal. 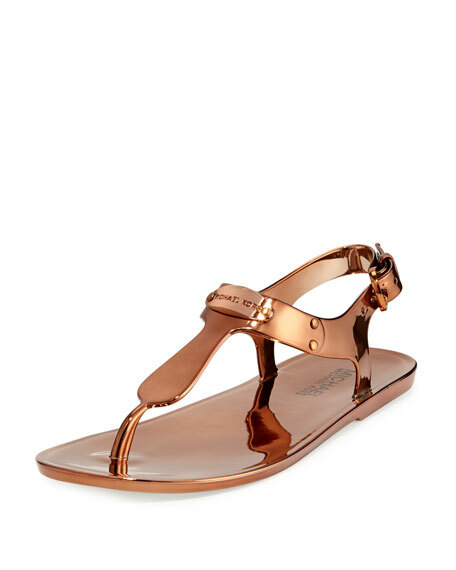 Thong strap connects to adjustable ankle strap. Tonal logo plate at instep. 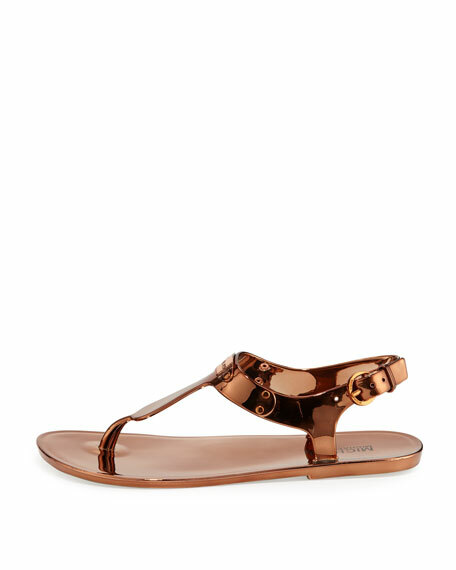 For in-store inquiries, use sku #875559.